The hotel and restaurant are closed from 17.3. until June 2019 due to reconstruction. Reservations for the summer and winter season are provided at tetreviboudy,email,cz or book online on this websites. Tetřeví boudy is a favoured recreation hotel that is located in the national park of Krkonoše mountains (KRNAP) on top of an enclave in 1030 m.a.s.l. It offers a beautiful panoramic view to the valley of Žalý. The sunsets above Žalý are breathtaking. During good visibility you can see as other famous mountains like Ještěd and Bezděz. Climatic conditions are mild during good weather. Tetřeví boudy are a very interesting destination. In summer, we are the best choice for hiking, and mountain bike cycling. We offer a wide spectrum of possibilities for families to spend your free time and enjoy your vacation. 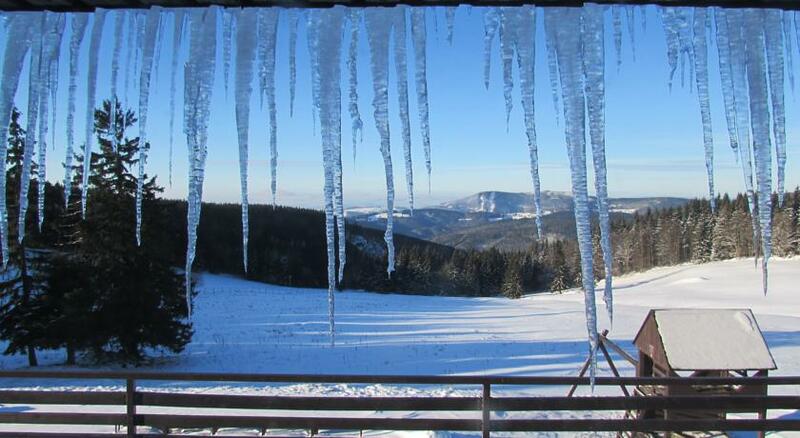 In winter, Tetřeví boudy are ideal place for cross-country skiers who enjoy magnificent nature and countryside. We are situated right next to the main cross-country path. We are also very good choice for families with small children who learn to ski as we have our own 300-metre-long slope with a trail right under the hotel. We also transport skiers for free to the ski-areal Pec pod Sněžkou to the slope Zahrádky. When you come back you can play table-tennis, billiard, table football, darts, watch a movie, go to fitness or sauna. 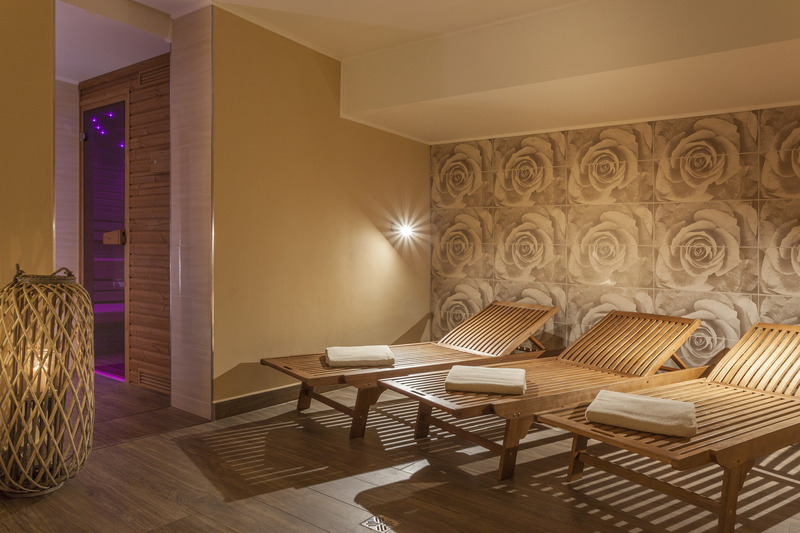 You can do yoga, meditate, dance in the gym with mirrors or just sit down in the restaurant. Outside, we have a court for volleyball and badminton as well as an outdoor and indoor playground for the kids. Furthermore, two golf courses are located about 10 kilometers away from us in Prosečné and Mladé Buky. In the near forests you can go look for berries and mushrooms. There are also some very panoramic secluded places where you can go to relax and meditate while listening to water stream and bird singing. In summer you can watch sheep and other animals at a nearby meadow. We have also our own freshwater spring that we call Tetřevka. 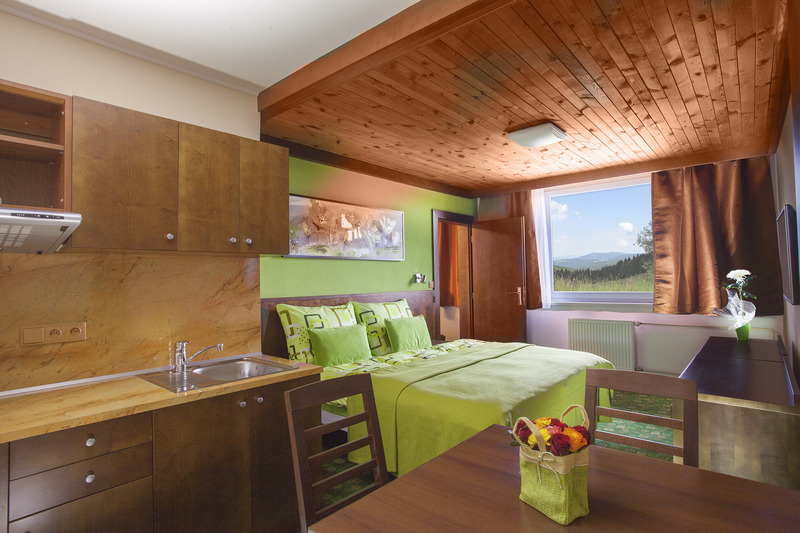 Individual transfer of guests from and to parking in Dolní Dvůr and Pec pod Sněžkou including luggage and ski costs 200 CZK per person. 100 CZK for children up to 12 years old. Babies can sit on parents lap for free. Haglund transport leaves parking in Dolní Dvůr. We will provide time and more details informations via email or by phone to individual reservations the day before arrival. Snowmobile transport operates for our guests at various times for the same price. Parking in Dolni Dvur is free. Important: Meet the departure times of our transports (Haglund and snowmobiles). Not meeting the departure times will be penalized. Last departure is possible at 20:00. Later departure is only possible if agreed to and for an additional fee! During mild snow conditions we transport our guests from parking Dolnú Dvůr by jeep. In the hotel is not ski rental. Ski equipment please rent BEFORE the agreed transfer to the hotel. GPS - Attention: Do not insert directly Tetřeví Boudy! From any direction (Vrchlabí, Dvůr Králové, Trutnov, Liberec or Poland) you need to reach the roundabout in Lánov village. In Lánov take the roundabout exit to Dolní Dvůr. Continue 4 km straight to Dolní Dvůr until you reach a post office and a church with yellow tower. In front of the church turn right and then continue straight 2 km until you reach a red gate. Park your car there at the parking space and wait for your transfer. Cross-country skiers can ascend 2.5 kilometers to us from Černý Důl through the so called “Lumberjack path” (Těžařská cesta). Another option is to park in Jásnké Lázně, take a funicular up to Černá Hora and then go 4 kilometers down to us. You can also park in Rudolfov and do a 10 kilometer mild ascend to us from Dolní Dvůr. Lastly you can park at the square in Černý Důl and take the trail to Bönischova Bouda. From there leads a 2 kilometer path to Tetřevky. It is possible to arrive directly at the hotel by bus from Dolní Dvůr. We will provide access card through the national park area. It is also possible to arrive directly at the hotel by car. Your voucher servers as the access card through the national park area. From any direction (Vrchlabí. Dvůr Králové, Trutnov, Liberec or Poland) you need to reach the roundabout in Lánov village. In Lánov take the roundabout exit to Dolní Dvůr. Continue 4 km straight to Dolní Dvůr until you reach a post office and a church with yellow tower. In front of the church turn right and then continue straight 2 km until you reach a red gate. Continue past the gate to a small bridge. After crossing the bridge turn right and then continue 8 km uphill over 3 more bridges until you reach a T-shape crossroad. Turn left into a steep hill and go 500 meters until you reach Tetřeví Boudy to your left. You can walk or ride 5 kilometers to us from Černý Důl or from Pec pod Sněžkou by following the direction signs “TETŘEVÍ BOUDY”. From those locations access is not allowed by motor vehicles. Another option is to take a funicular at Jánské Lázně to Černá Hora and from there it is about 4 kilometers downhill to us. From Dolní Dvůr you can walk along the green route 4km pass Zlatý Mlýn. You can also take a taxi to us from Pec pod Sněžkou or Černý Důl. If you arrive by bus to Vrchlabí or Pec pod Sněžkou it is possible to order transfer from us to the hotel. Price is 200 CZK. If you arrive by train to Vrchlabí it is possible to order transfer from us to the hotel. Price is 400 CZK.